Reminisce on the hilarious events of Americas most beloved television personalities with these vintage I LOVE LUCY check designs. 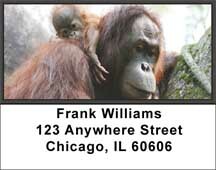 Coordinating address labels and a checkbook cover are also available. A wonderful lap dog and companion can be found in this toy breed. Four rotating pictures on these Japanese Chin Address Labels show just how adorable this dog can be. Fighters, rings and gloves...the fight game is expressed in the four rotating images on these... Boxing Labels - Boxing Address Labels. Men and women, whose job is protecting our homeland, is the awareness you will share whenever you use one of these Coast Guard Labels - Coast Guard Craft Personal Address Labels.